Em loves the winter holidays. And this year, things are really looking up: the guy she’s been into for months has finally noticed her. But if she starts something with him, there’s no turning back. Because he’s going out with her best friend. On the other side of town, Chase’s home life is stressful and his social life’s unravelling. But that’s nothing compared to what’s really haunting him. For Chase has done something cruel — something the perfect guy he pretends to be would never do. And it’s only a matter of time before he’s exposed. 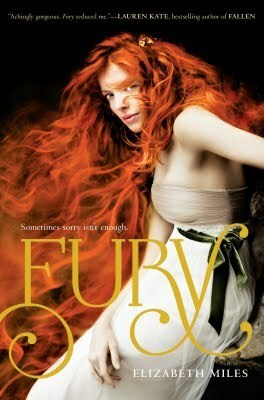 A modern take on the avenging creatures of Greek mythology, Fury is a quick read, but ultimately unsatisfying in execution and revisualisation of the mythology. The story seemed haphazard and the only characters I enjoyed will obviously not be in the sequels for various reasons. Furies. Beautiful, vengeful spirits that typically show up in threes and punish those who have committed some wrong doing (usually through a betrayal of trust). Miles’ Furies fail, spectacularly, to live up to this vision – they are instead reduced to model-like beauties who terrorise a small-town high school, punishing teenagers for their transgressions. They fail to inspire any kind of terror (except in the main character, but more on her later), and mostly were an annoying aside to the simpering love story featured in the book. One of our protagonists is Emily: the ‘normal’ best friend of the intensely popular Gabby and hence a member of the popular group at school. Like many YA protagonists, Emily has a love-hate relationship with her best friend: she loves the popularity Gabby brings, but doesn’t like how shallow she is (apparently failing to realise that Emily, herself, is also self-absorbed). She also likes a boy – Gabby’s boyfriend, Zack – who has just started hinting that he might feel something too. Emily can only feel good about herself by tearing down others – she and Gabby have ridiculous and insulting nicknames for most of the people around them. An example is JD, her long time neighbour and close friend (although she won’t admit it), whom she and Gabby condescendingly refer to as her Chauffeur, since he drives her around when she needs it. I did not like Emily and as a consequence, preferred reading the chapters narrated by Chase, the book’s other protagonist. Although he doesn’t have a much deeper personality, but I liked him because I believed his story: a poor boy who has worked hard to become popular and has to maintain appearances to keep his social standing. He is interesting, and I wish there as more of him in the book. I also enjoyed reading about Zack because he adds colour as the hot antagonist and I sort of wish I had gotten to know him better. While I liked the plot and the pacing of the book, I found the romance included in the book perplexing. The romantic element lacked passion and emotion, instead falling flat and, at times, seeming clinical. Although, I may have felt this way because I feel quite strongly about the moral implications of Emily pursuing a relationship with her best friend’s boyfriend. I just didn’t feel the Em’s attraction to Zack, and her later realisation that she is in love with JD seemed jarring and convenient rather than heart-felt. Emily’s romantic entanglements are the same as her friendships: contrived, selfish and unenjoyable to read. Fury, aside from the misappropriation of Greek mythology and the inexplicable presence of the Furies in a small, backwater town, is a passable read. Although I didn’t enjoy it as much as I would have hoped, I hope I like the sequel more. 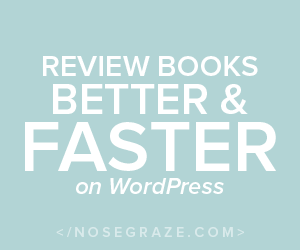 I believe there are better examples of retellings of mythology (Aimée Carter’s The Goddess Test series for example), but fans of retellings may enjoy Fury a lot more than I did. This sounds very disappointing :/ I’m really glad I passed on buying/reading this.